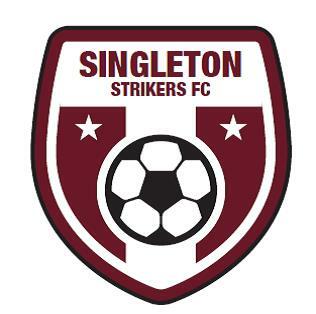 The Singleton Strikers enjoyed another great day last Sunday when they made the trip to Toronto Awaba Stags for 4 matches – picking up 3 wins, to spoil the Stags day. The Betts Bower Haulage U17’s got the day underway and enjoyed a strong start for one of the few times this season. James Croucher rattled the cross bar early, and in-form Trae Proudlock brought a good save out of the Stags goal keeper. But they could not capitalize on this early pressure, and Toronto slowly played their way back into the game. It remained 0-0 at the break, and Singleton once again started the better of the teams. Luke Fishpool saw his header smash into the cross bar, and Hamish Mayled had a gilt edged one-on-one chance bit blazed his shot over the bar. As is so often the case this season for the U17’s, one mistake would cost them the game when they coughed up possession in a dangerous spot and Toronto Awaba made no mistake with their only shot of the half to record the narrowest of victories. The Viatek U19’s also started well – the difference being they took their chances – as Nathan Smart scored an impressive goal after just 3 minutes. Toronto Awaba played themselves back into the contest and the rest of the first half was a pretty even affair. Toronto had the better of the opening exchanges in the second period, and Singleton had the unorthodox but effective Jeremy Wilde to thank for keeping them in the game as he pulled off a number of top shelf saves. But it was to be Singleton who scored first as goal scorer Smart turned provider when he provided a precision through ball for Oliver Moody who made no mistake. Toronto hit back with a well deserved goal of their own, but Singleton regrouped and Moody scored his second goal on the back of good lead up work by Jesse Mackaway. It was enough to secire all 3 points for the U19’s. 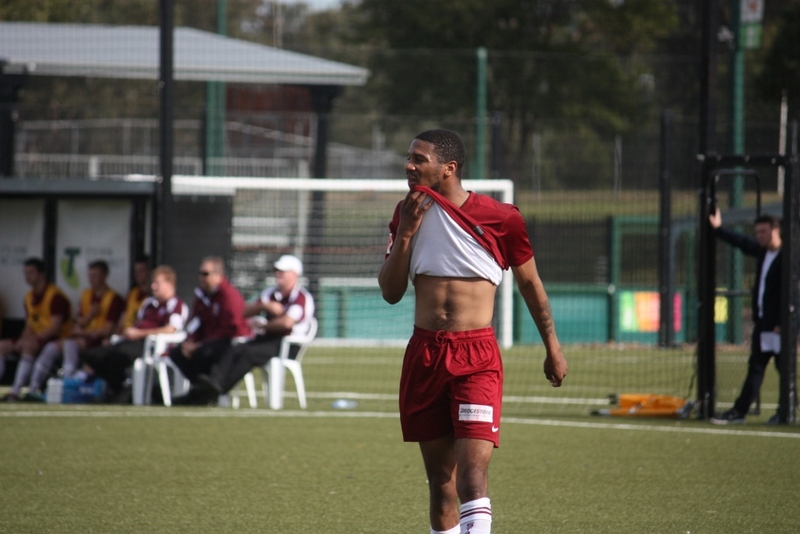 The Strikers Under 23’s remain in semi final contention, and were desperate to secure all 3 points on offer. In a game that failed to reach any great heights, Singleton done enough to win 2-1. It was an interesting clash of styles……Singleton’s intricate passing triangles versus Toronto’s physicality and long ball tactics. Jackson Cox scored the Strikers first goal when he sprung the off side trap and slid the ball under the advancing goal keeper. Toronto equalized just before half time. In an even second half, Cox added his and Singleton’s second goal. The game turned a bit spiteful as both teams struggled to gain the upper hand, but Singleton held on. The Onekey Resources Singleton First Grade side started where they had left off last week and were soon in control. Kieron Burrell was unstoppable and had completed his hat trick within the opening 30 minutes as the Strikers put the home team to the sword. Singleton had all the play and the midfielders Sam Ford and Matthias Franz were particularly impressive with their intricate passing interplay. Puppet master Dan Palozzi was pulling the strings and Burrell and boom youngster Nathan Hall were the beneficiaries of this midfield play. The second half was the same story. Hall continued his rich vein of goal scoring form, and hard running Rob Field also got into the act by scoring 2 goals…..the second a delightful lob over the goal keeper whilst running full pelt onto a long Stuart Plant clearance. 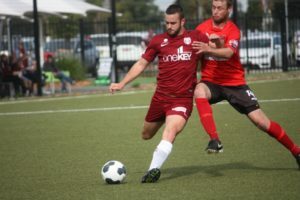 The 6 – 0 scoreline is Singleton’s best this season, and once again underlines the potential of the First Grade squad. The Royal Hotel Singleton Strikers are at Howe Park next Saturday hosting Cooks Hill in the last game of season 2016. The U17’s kick off at 9.15am, with the First Grade fixture starting at 2.30pm, Followed by the Singleton Mazda All Age Men’s fixture at 4.30pm.